this palette is great for clients. it has every color that you can need and is totally cheaper than getting every color brow pencil!!!!!!!!! Bailee Erez has rated on date 04/05/19 as amazing!!!! !this palette is great for clients. it has every color that you can need and is totally cheaper than getting every color brow pencil!!!!!!!!! with 5star. grecia de has rated on date 03/14/19 as Brow pro palleteI love this item!!!!! I can dye my hair now with no worries of having to buy a new eyebrow gel or pencil.... comes in handy soooo worth the price 😬 with 5star. This product is so important for anyone doing makeup on others- it has every shade you could need and the brow primer built in!! Powders apply beautifully and you have any color you could possibly need! Lauren Zajac has rated on date 03/02/19 as MUST HAVE FOR MUAS! !This product is so important for anyone doing makeup on others- it has every shade you could need and the brow primer built in!! Powders apply beautifully and you have any color you could possibly need! with 5star. Nargiza Bopusheva has rated on date 11/08/18 as ReviewThe best I’ve had ever with 5star. What’s not to love.....this allows you the ability to experiment and I love that!!!!!! Jenn has rated on date 09/22/18 as ExcellentWhat’s not to love.....this allows you the ability to experiment and I love that!!!!!! with 5star. 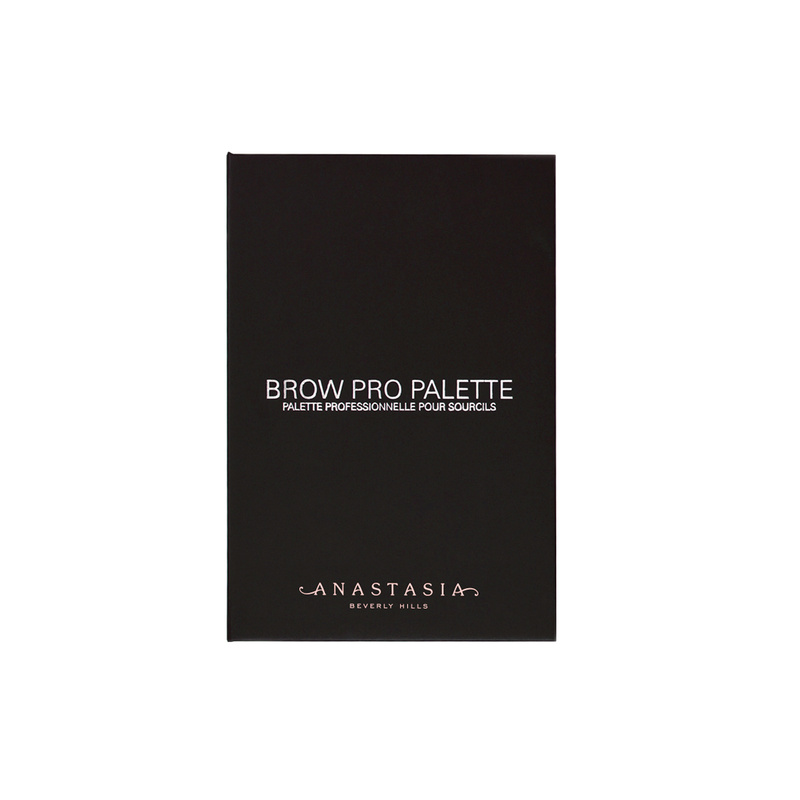 Anastasia Beverly Hills Brow Pro Palette is a must-have for all makeup artists. The palette contains all 11 shades of Brow Powder Duo, plus Brow Primer. Create a range of looks—from natural to ombré to bold. Start by applying the lighter shade of your chosen Brow Powder Duo pan to the front end of the brow, followed by the deeper shade on the tail end to achieve an ombré effect. Fill in sparse areas of the brow using the darker shade. Use the lighter shade to create a background color; use the darker shade to detail the brow.